DONEGAL tillage farmers and their counterparts along the west coast have seen their crops wiped out due to the wet summer, a TD has said. Inishowen-based Deputy Charlie McConalogue said coastal crop farmers have suffered a "devastating" season due to the heavy rainfall. It's estimated tillage farmers will lose an average of about €14,000 on this year's income due to the harvest failure. Deputy McConalogue has now called on Agriculture Minister Michael Creed to work to secure emergency EU funding to help those affected. “Tillage farmers in coastal counties have suffered a devastating summer with heavy downpours leaving the land saturated and the harvest at risk. This is the main source of income for these farm families and their livelihoods are now seriously jeopardised," said Deputy McConalogue, FF's agriculture spokesman. 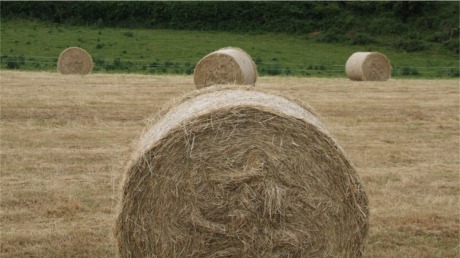 Bale us out: Donegal TD calls for emergency EU aid for tillage farmers. “Tillage incomes have been decimated over the past number of months – Teagasc estimates that the average income will have fallen by €14,000 to €20,000 this year. Any further losses as a result of a ruined summer harvest would be disastrous for these families. The Minister must act to help them. “Farmers have watched their livelihoods disintegrate before their eyes – the price that they are getting for their crops is now substantially below production costs and many are really struggling to stay afloat." Meanwhile, Deputy McConalogue also called for an extension to the deadline for spreading slurry - also badly hit by the summer rainfall. “There are fewer than 10 days to go until the (Oct 15) deadline for slurry spreading kicks in, but many farmers across the country need more time. The bad weather over the past couple of months has left large areas of farmland completely waterlogged and farmers have been unable to spread."